Please welcome Sandy to Take The Monorail! Sandy has three kids and has been visiting both Walt Disney World and Disneyland for years. 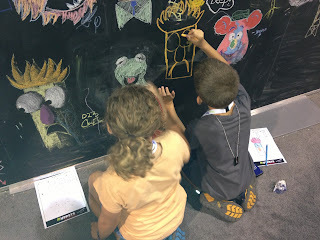 She attended the D23 Expo, a fan convention, this month with her kids and offers up her experiences here for you. We look forward to regular contributions from Sandy to help you plan the perfect Disney vacation. I was so excited when I found out I was going to be able to attend the D23 Expo in Anaheim this year. My kids, ages 10, 10 & 12 were excited too - all their favorite Disney Channel stars were scheduled to be there. I made sure they knew this was serious business. We had to be there early! Even earlier than when doors open. Like super early. I wanted to be one of the first in line so that we could make sure we hit all the things we wanted to do. For me that meant getting into one of the presentations and hopefully seeing some celebrities. For the boys, that meant the Waffl-inator Challenge and video games. For my daughter, it was all about Teen Beach Movie. So as luck would have it, we had a family emergency in the middle of the night. We didn't have to cancel, but my golden rule of getting there early quickly changed to Rule #2: Roll with the punches! We arrived at the expo around 2:00 that afternoon. I had already seen the updates about Angelina Jolie making an appearance, so that was one celebrity sighting missed. I did, however, catch a glimpse of Joey Fatone with the Live Well Network. On the plus side, we didn't have to wait in any long lines to enter. On the negative side, I did miss out on the cool Disney Aulani bags they were giving away that morning. 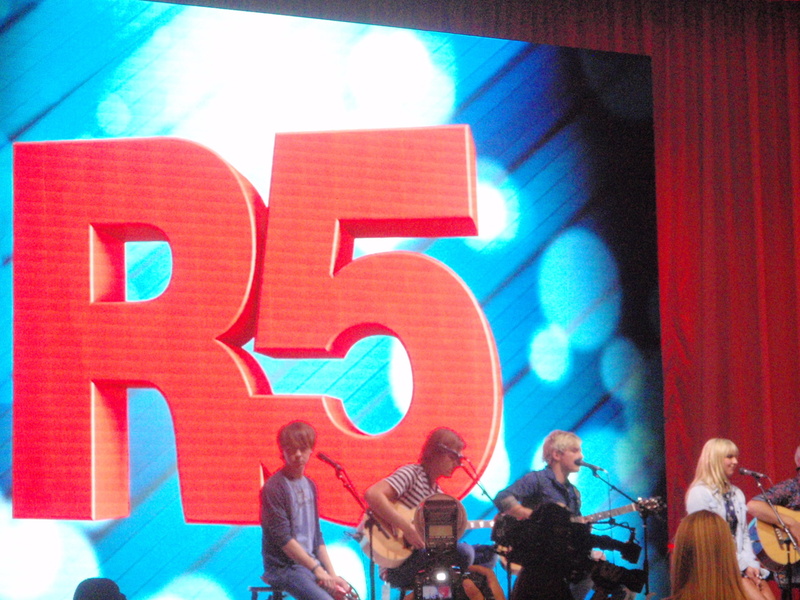 We easily found the Disney Channel stage in the middle of everything. As we waited for Bridget Mendler to perform, my 12-year-old decided to check out the video games at the Disney Interactive main stage. While he was playing the new Disney Infinity game and watching a fan play Fantasia: Music Evolved, we were learning to dance with Radio Disney. 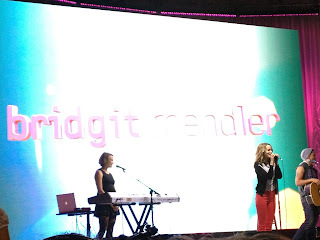 Then Bridget Mendler took the stage for 2 songs - Eye of the Hurricane and Ready or Not. (Side note - she really impressed me by starting the song over when she admitted she messed up the lyrics. I have seen much more seasoned artists handle that situation much worse, so I do appreciate her being so candid). Next up was the long line to meet the stars of Good Luck Charlie and get autographs. Luckily my kids were happy to skip that and go check out the booths in the Collectors' Forum. We started out with the silent auction items which included ride vehicles from the park attractions as well as old displays from the stores. My kids quickly got bored with this and wanted to check out the toys! This was about the time my oldest decided he wanted to start a Vinylmation collection. I'm still kicking myself for not letting him buy the $5 ones that he could have picked out. Instead he bought some at Downtown Disney later in the week for more than double that price, and he didn't know what he was getting until he bought it and opened the box. I can see how this little hobby could become expensive! Lesson learned: know something about what you're looking to collect so you can take advantage of a deal when you see it! After looking around the collectors and vendors we made our way back over to the Disney Channel stage for R5 and found a perfect spot right between that and the Ridemakerz booth. I could let the boys wait their turn for the remote controlled cars, and let my daughter save her spot for the music. Unfortunately, once the artists came out people flooded around us from all directions and completely blocked her view. We ended up backing way up just so she could see. After that it was time to line up to meet the stars of Teen Beach Movie. This is the main reason my daughter was there. She gladly found the end of the line all the way over on the other side of the convention center and was happy at the prospect of waiting until we found out that you actually needed a wrist band to be guaranteed to meet the stars. They had all been given out by 1:00, before we had even arrived. Turns out this is catastrophic to a 10-year-old who has told all her friends she is going to meet movie stars. We needed to find something to get her mind off Teen Beach Movie quickly, so after grabbing a couple of free beach balls we made our way to the back of the building to see the displays for The Muppets and Marvel. They had some Learn To Draw activities and a huge chalk wall that was a lot of fun. Also in this section were free manicures if you wanted to stand in line, and you could meet some Disney artists. The most impressive line was for the Disney Store. After checking out all the goodies in the Disney Consumer Products section the kids decided that they'd had enough, didn't want to wait in any more lines, and were ready to go home. 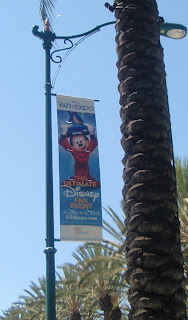 All in all the D23 Expo was a fun event despite it being a bit crowded. 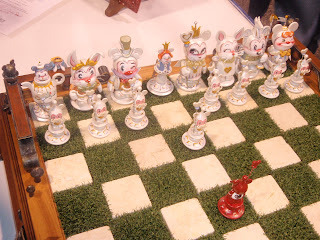 It was a great warm-up for us since we were gearing up for the parks that week. I've learned from our park trips that, even when you have a good plan, something can always happen to throw a wrench in it. It's best to stay adaptable and make the most of your time. It doesn't hurt that there are cool things to look at literally around every corner, so it's not hard to find a new distraction. If, however, you are there for something specific, you may want to refer back to the first rule - get there early! Can you recommend anywhere good to eat in or around Disney World? We're not going for the Disney dining plan, so looking for affordable but tasty and good value!